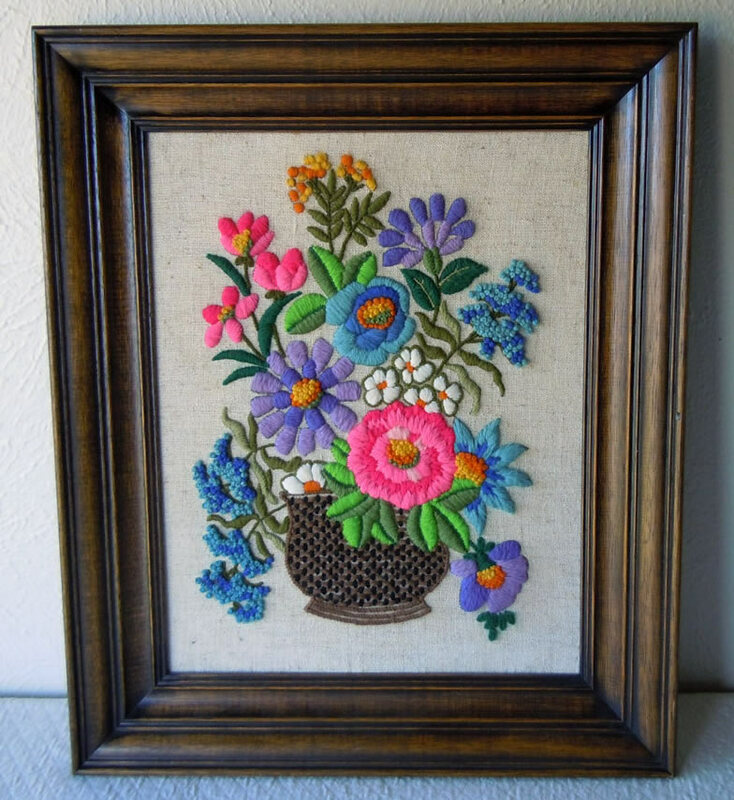 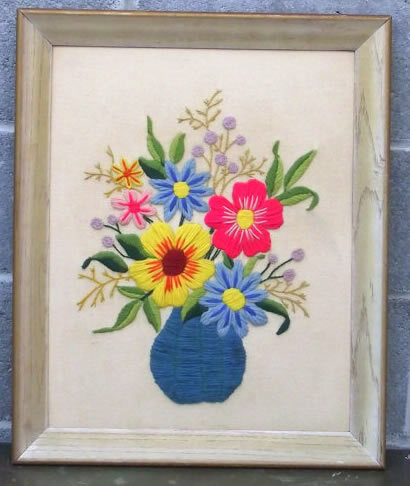 A quick post tonight, it’s late but I’ve been so keen to post these images of beautiful embroidery. 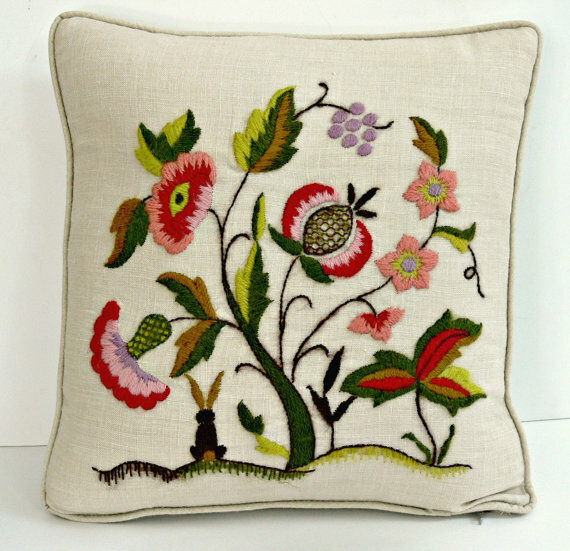 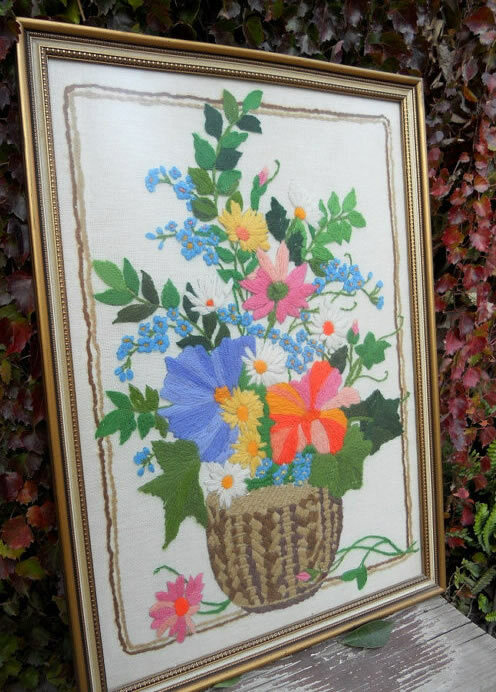 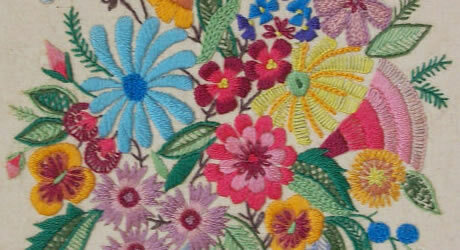 Crewel is the art of hand-embroidering wool thread. 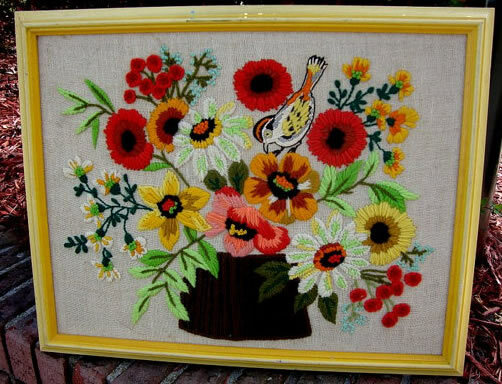 Crewel work is an ancient art, with examples found from all over the world. 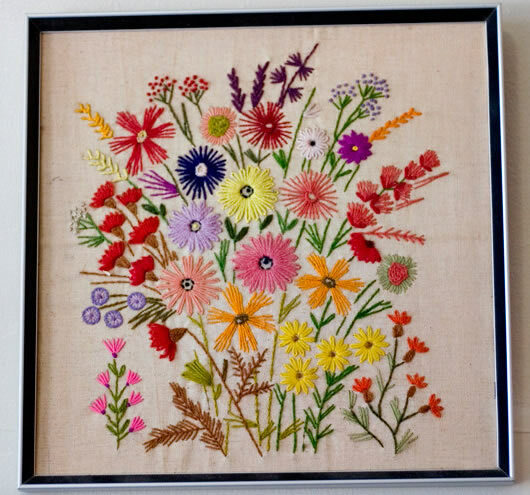 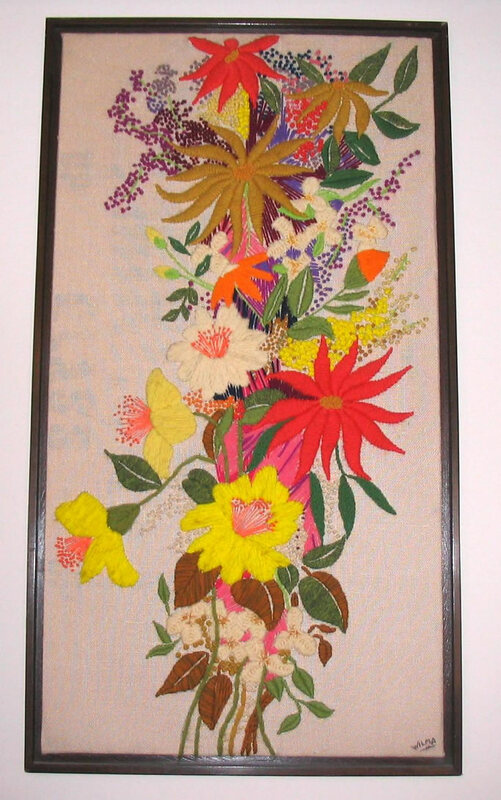 The art has since come in and out of fashion, adorning bed canopies and pillows during the Victorian era, and decorating purses and clothing during the craft revival of the 1960s. 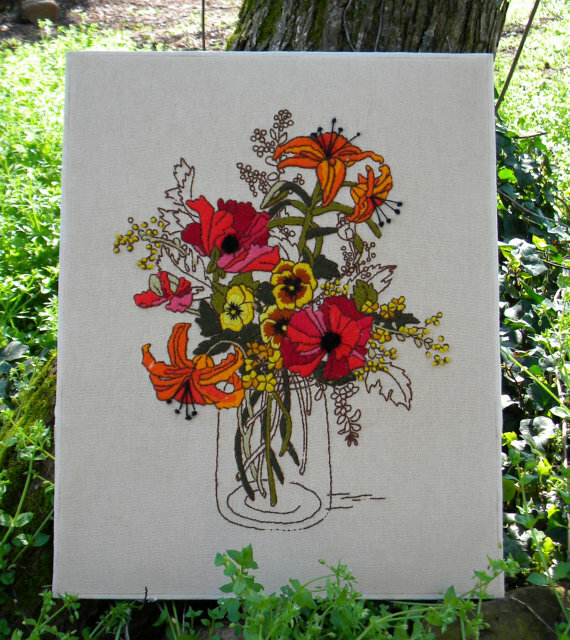 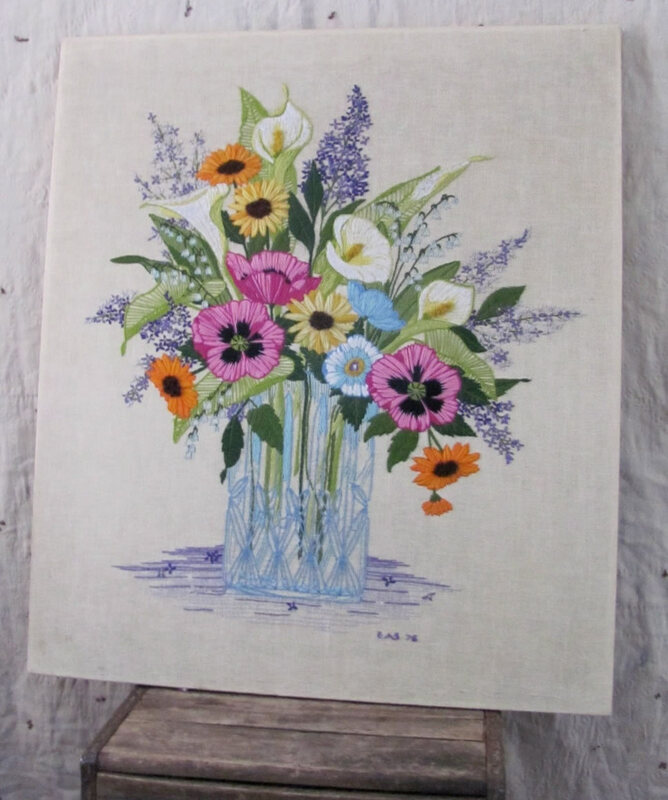 There is a great post on The Etsy Blog about Erica Wilson if you would like to read more about crewel. 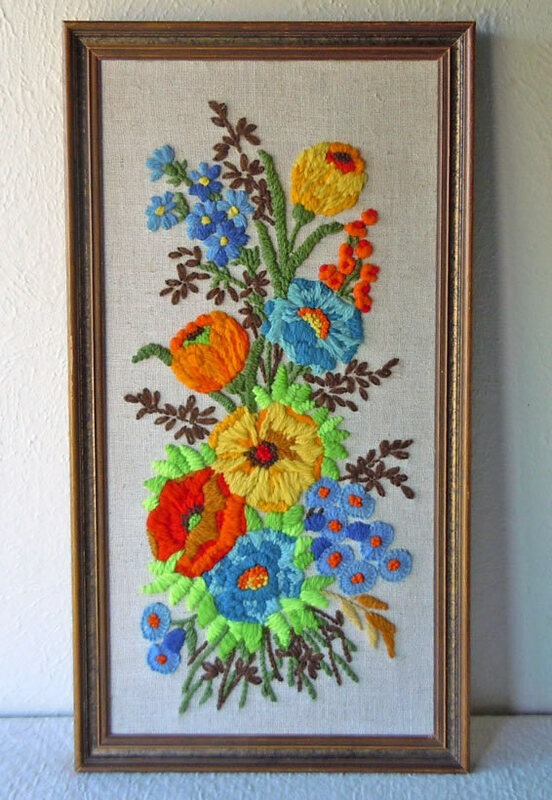 I’ve been searcing Etsy for some vintage retro examples of crewel work and here are my favourites.